Description Bloons 2 is here! 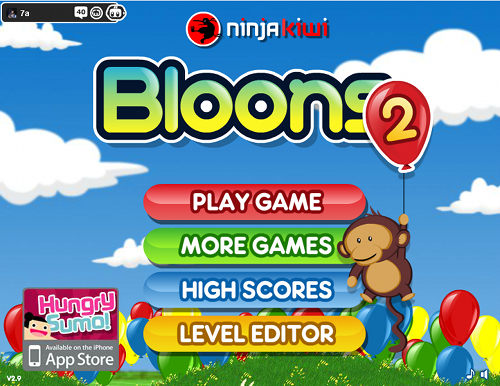 A worthy and awesome sequel at last to our original Bloons game. Controls Mouse to aim, click and hold to shoot.